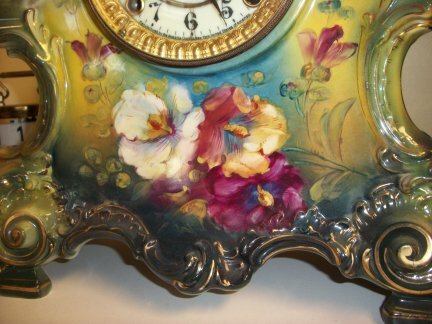 This china clock is absolutely beautiful. 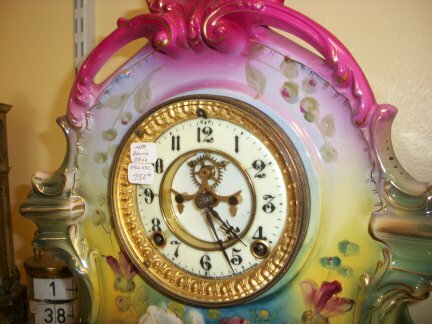 It was made by the Ansonia clock company. It has an 8 day time and strike pendulum movement. 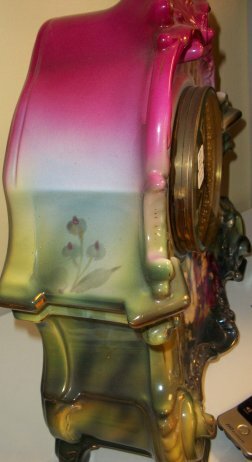 Close up view of the upper part of the clock. It has a porcelain face and has an open escapement. 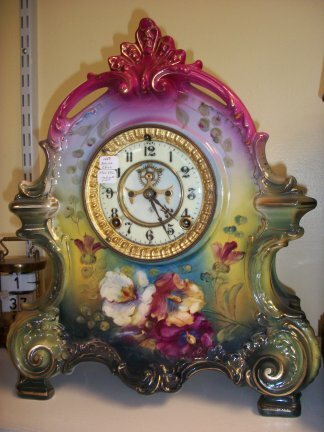 The paintings and the blending of colors in this clock are extremely well done, it is hand painted.